ransfers from Milan Linate airport – The Best Reliable transfers. We organize every kind of transfers from Milan Linate airport (LIN) by luxury cars, vans, minibuses and buses for a large group. Luxury, comfortable, fully licensed and insured, full-optional and clean vehicles are available for transfers from Milan Linate Airport (LIN) to any destination at a lower price than a taxi. 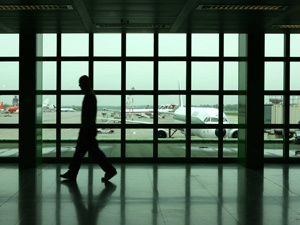 Booking your Milan transfer from Linate Airport (LIN) with www.transfersfrommilanairport.com is easy, fast and secure. After the booking procedure is completed, we will send you by email our confirmation with the driver’s mobile phone number for any needs and all the information about the meeting point. Our staff is at your disposal for any request or suggestion. We will provide you with a free flight monitoring so that, in case of changes in the time schedule of your flight, your booking will be updated to the new arrival time. By booking your Milan Linate airport transfer with us you will receive all the necessary support and follow-up by our experienced drivers, who will be waiting for you at the arrival lounge by holding a sign with your name; he will help you to carry your luggage to the car and he will bring you to your final destination. All our transfer prices from Linate airport are fixed, all inclusive and are per vehicle and NOT per person. Thanks to our Milan Instant Quote above, you will be able to quote and book your transfer by clicking on "Book Now"; you will then access to a SSL certificate where you will have to enter the requested data. You will shortly receive the confirmation of your Linate transfer, mentioning the reservation number, the driver phone number, and all the information about the meeting point.